From the author of The Chemistry of Joy and The Chemistry of Calm comes a practical guidebook for building and maintaining a sharp, healthy, and vibrant mind. A strong memory and a healthy brain aren’t as difficult to maintain as one might think; combining the latest neuroscience research with age-old wisdom about resilience, mindfulness, and stress reduction, Drs. Henry Emmons and David Alter show that vibrant aging is within reach. Together they demonstrate how to blend the best of modern science and Eastern holistic medicine together to form a powerful drug-free program to maintain a youthful mind and a happy life. With more than fifty-five years of combined experience in the fields of neuroscience and psychiatry, Dr. Emmons and Dr. Alter have taken their expertise and translated the fundamentals of brain science into an easily accessible collection of the nine key lessons proven to preserve and strengthen mental acuity. Filled with easy to understand theories and practical exercises to work out your brain and mind, Staying Sharp provides you with a blueprint to live more joyfully, age more gracefully, and build intimacy in your relationships, no matter what your age. Where did I put my keys again? What’s the name of that restaurant I like? When did these stairs get so steep, anyway? It’s called a . . . wait, I know this . . . it’s on the tip of my tongue . . . hang on . . . I’ve almost remembered it . . . The aches and pains we might expect. But the mental lapses can be particularly unsettling. Our imaginations go to the worst possible place—Am I losing my mind?—and that worry can be a constant fear for those of us in midlife (and those of us who are fast approaching it). It is easy to understand why many see aging as a bad, even frightful thing. How often have you heard someone say something like “Getting old is not for the faint of heart”? We fear the physical pain and debility that we so often witness, and even more so the loss of memory and mental abilities, a loss we sometimes expect as inevitable with aging. You are born with about 100 billion neurons. The brain’s development is pretty well finished by the end of childhood. Each year after the ages of six through twelve, more and more of your brain cells die off, never to be seen again. The best you can hope for is to slow down this loss of function and try to buffer the inevitable decline of aging. Listen when we tell you: it doesn’t have to be this way! These fearful losses of function are not a given. Today we understand the brain in a much deeper way than ever before, and we now know how to change the brain in positive ways. For example, while it may be true that there is a loss of neurons as we get older, we now also know that the brain has stem cells that can replace some of those lost cells. In fact, the brain is remarkably resilient at repairing itself—even after something as damaging as a stroke! Neuroscience is teaching us some of the ways we can support that resilience, and we will share those findings with you throughout this book. Yet there is more than just the hope of slowing our decline. There are ways in which aging is actually full of possibility, because our brains are always able to learn and our minds are continually capable of gaining wisdom. Those abilities can enhance our lives, even as we lose a few neurons along the way. It is our premise that aging itself is neither good nor bad. We all encounter aging no matter what we do, so long as we are fortunate to live long enough. The question is not will we age, but how will we engage the aging process? In Staying Sharp, you’ll learn techniques for facing the challenges of the second half of life with excitement instead of dread. You’ll discover tools for maintaining a healthier brain, skills for enhancing wisdom, and practices that will help you live every day with a more joyful heart. Read on! Can I Really Feel Better at This Point in My Life? While you cannot stop yourself from aging, the good news is that the kind of decline that Helen described is neither normal nor inevitable, and you can have a lot of influence on the quality of your own aging process. Helen found that by practicing just a few of the exercises that you’ll learn about in this book, she began to emerge from the mental torpor she’d found herself in. After several weeks, she felt sharper, the mental fog had lifted, and she was able to regain a sense of control and contentment in her life. It happened to Helen, and it can happen to you too. This clarity emerges when we learn how to align ourselves with the natural way the brain is designed to work. The brain will simply express what it is in the habit of expressing. When the mind is focused with positive intentions and grows through life-affirming practices, the positive aspects of the mind that are lying dormant can evolve into new and joyful habits. Becoming more vitally alive, feeling sharper and more mentally focused, and even awakening joy, is easier than you think. So how can you optimize your brain to maintain (or even further develop) your mental acuity? You can combine cutting-edge advances in neuroscience with ageless healing practices that have been keeping humans healthy for millennia. And that’s where our unique backgrounds come into play. 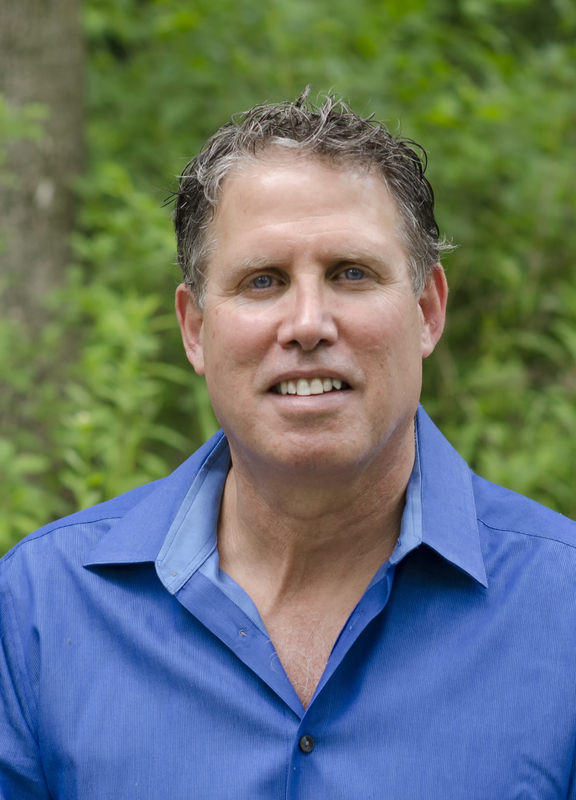 I am Henry Emmons, MD, and I practice as an integrative (holistic) psychiatrist. As I neared the end of my medical training nearly thirty years ago, I chose to become a psychiatrist because it seemed like the natural path to understanding and embracing the whole person—body, mind, heart, and soul. But while I was leaning toward wholeness, the field of psychiatry was becoming more and more reductionist, often focused on the brain (and a few brain chemicals) to the exclusion of heart, soul, or even the rest of the body! Early in my career, I realized that practicing psychiatry in this way wasn’t good for my patients or me. I had to find another way. I was always more interested in health than disease, so I refocused my attention on what makes people healthier and happier, including the daily choices we make to care for our bodies; how we relate to our minds and their myriad thoughts and emotions; and the degree to which our hearts are alive and able to embrace all that life offers, both good and bad. This led me to study, in earnest, the fields of integrative nutrition, lifestyle medicine, ayurvedic medicine, and mindfulness practice. Neuroscience has been a natural way to tie all these disciplines together. Over the last fifteen years, with Partners in Resilience, I have worked to weave together these disparate fields into coherent programs to help people recover from all-too-common mental health problems, without relying upon medication. My earlier books, The Chemistry of Joy and The Chemistry of Calm, describe in detail these programs for depression and anxiety, respectively. Blending Western science with Eastern wisdom, they help take the mystery out of good mental health and offer clear road maps that go beyond mere recovery from illness toward a more vital and joyful life. With Staying Sharp, we aim to do the same with aging—honor all aspects of what it means to be human, while blending the emerging field of neuroscience with the tried-and-true practice of mindfulness. We wish to help you not just to get by with more intact neurons but to actually grow happier and wiser as you also grow older. And I am David Alter, PhD. I have been involved in the practice of neuropsychology and health psychology for nearly thirty years. Fifteen years ago I cofounded Partners in Healing, the holistic health center where I have explored how the brain and the mind impact health and daily functioning. I’ve long recognized that whole health cannot be created by a person’s psychology alone. We are all mind and body, and my work has involved finding methods by which people can most effectively bring together these two aspects of being human to support whole health. That is why I have worked to help people develop their inner capacity to heal and grow, to use their minds to rewire their brains. My main professional goal remains assisting people to discover the paths by which their lives can become richer, more meaningful, and more purpose-driven. My interest in translating brain science into a therapy of practical, teachable steps is a natural extension of my personal life. My mother was a teacher, my father a neurologist. From early on, the interaction between learning and brain functioning in shaping people’s lives was modeled for me on a daily basis. Those interests led me to design treatment programs that combine brain-based Western learning with practical skill development drawn from Eastern healing traditions for a wide range of conditions—migraine, chronic pain, and digestive disorders, to name a few. While brain science has certainly shaped my personal outlook and practice, an even more powerful influence for this book has been the spiritual tradition in which I was raised. In a word, it taught me hope. As Elie Wiesel, a Nobel Prize–winning author, has said, “Hope is like peace. It is not a gift from God. It is a gift only we can give to one another.” My personal hope is that this book is our gift to you and that through your reading and applying of the information and practices we present, you will find renewed hope about the reward and fulfillment that awaits you in the second half of your life. We have worked together as a medical doctor and a neuropsychologist for more than twenty-five years, integrating the best of Western medicine with complementary mind-body healing practices. We share a deep commitment to helping people discover the powerful and often underused resources they have within themselves, skills that with practice can enable you to live a more resilient and joyful life. In Staying Sharp we share with you these ideas and practices that we have been developing throughout our professional lives. Our work is deeply rooted in the foundational advances in neuroscience of the last fifteen years. We now have a much more complete picture of what the brain does and how it works. For example, you may have heard of neuroplasticity, the brain’s ability to rewire in the face of new experience. This means that we are designed to change and adapt throughout life—we never stop learning! New experience prompts our brains to adjust and adapt, to create new pathways, and we can influence the quality of and direction that those pathways take. By the choices you make, the experiences you seek, and the skills you cultivate through repeated practice, you are already literally rewiring your brain. We aim to show you how to use those choices, experiences, and skills to rewire your brain to create a more vibrant mind. But what’s truly fascinating is that the more we learn about the brain, the more validation science is giving to traditional and ancient methods of understanding how the mind works. Mindfulness—long a staple of Buddhist thought and practice—actually can be measured and studied using the newest brain-imaging techniques by today’s neuroscientists. And self-regulation skills are not just important for children in the classroom; they are essential life skills that predict a child’s future success and happiness as an adult. In fact, Eastern tradition and Western science are working together (and validating each other) in new, exciting ways every day. That intersection is at the center of the work we do with our patients, and it’s what we will teach you in Staying Sharp. With this book we aim to translate this science and wisdom into an easily understood framework you can follow to maintain and even rebuild a youthful mind, coupling these key concepts with practical and accessible steps that anyone can take at any age. These steps are especially helpful for individuals like you, who are seeking to thrive in the second half of life. When Helen began to practice what we will soon teach you, she effectively tapped into the plasticity of her brain and the resilience of her mind. Neuroscience has shown us that the circuits of the brain are designed to recognize repeating patterns. And by extension, when our mind does something repeatedly, that part of the mind gets stronger. What we focus upon grows. This inborn tendency toward pattern recognition can be refined into a positive trait: for example, we can begin to notice the many ways that our spouse, flawed though he or she may be, acts in ways that we appreciate. And sometimes we can apply our learned patterns in new ways when we encounter something new and unexpected—such as a random act of kindness by a stranger that evokes a feeling of gratitude within us—because we may be able to draw from some past experience with a similar pattern. But the repeating of old patterns works against us, as it did for Helen, when life becomes a series of unending repetitions—“more of the same.” This familiarity can lead to feelings of malaise or even mental dullness, and since so many of these patterns operate automatically and outside of our direct awareness, they can easily get in the way of personal growth. But the story doesn’t have to end there, because we are conscious beings, capable of growth through purpose and intention. The capacity for changing our brains is truly staggering. It is said that the number of possible combinations of connections among the brain’s 100 billion neurons, each of which has up to ten thousand connections with other neurons, is larger than the number of atoms in the known universe! With consistent and repeated use of the practices described in this book, Helen’s neural circuits began to change for the better. By integrating the modest exercises and body-based meditations that follow, Helen felt her physical body begin to come alive with sensation. She regained a sense of being embodied—a whole person interconnected to a body with thoughts, feelings, sensations, and wise emotions that she could now begin to assert. She not only felt better physically; she also felt clear-headed and more mentally nimble. Helen’s story is far from unique. While your own story may contain different particulars, the avenues that she pursued are just as relevant to you. She sought connection to herself and to her life; she sought meaning and purpose; she sought pleasure and novelty; and she sought a basis of hope and belief that she could live a life that reflected the best she had to offer. We tend to use the words brain and mind interchangeably in our culture, but in fact they’re two very different things, and they each need something different in order to age well and stay sharp. Living and aging joyfully requires three core traits that we call resilience, vibrancy, and awakening. Resilience refers to the brain, vibrancy deals with the mind, and awakening involves the heart and enables us to connect meaningfully with others. So what is resilience? It involves the ability to keep a positive mood and a sense of well-being even in the face of significant adversity. Resilience is a result of a healthy, well-functioning brain—a youthful brain. The capacity for resilience is built into our brains: it is natural. But the ability to direct this capacity for resilience is a function of a vital, well-integrated, radiant mind—a vibrant mind. We consider the brain to include the physical aspects of this pair—the anatomical structures, the physiological functions, and the chemical processes that keep us ticking. The brain is like an orchestra. When it is working well, when all the musicians are well trained, well rested, and well fed, we are resilient. When it is fully functioning, the brain has all the elements it needs to make rich, resonant, beautiful music. All but one, that is. You could bring together the most talented musicians with the finest instruments, but still they would not sound good without a conductor to help them come together with a beautifully coherent sound. That is the function of the mind. The concept of mind is sometimes hard to grasp, since it is not so concrete as anatomy or chemistry. In our view, the mind serves as a guiding principle. It involves the mental, emotional, and social abilities that can generate and extend the capacity for joy. Like the conductor, it oversees the necessary attention to detail, but it doesn’t get lost in it. Mind sees the big picture, and that includes the vast array of human capabilities that can transform a series of discrete notes into a symphonic work of art. Mind allows us to use our brain and body to create a life of beauty and joy. Beautiful music can be made by a youthful brain and a vibrant mind working together in harmony. But is it still beautiful if there’s no one to hear it? Doesn’t music need to connect with others in order to fulfill its purpose? That is where an awakened heart comes in. Heart involves the capacity that each of us has, whether we’ve used it or not, to connect deeply with others, with ourselves, and with a life full of meaning. It is through the heart that we can fully awaken to our lives and reap the benefit of having a resilient, youthful brain and a vital, vibrant mind. When the mind is conscious and the heart is awakened, we may go well beyond resilience. We may thrive. As in the metaphor of the orchestra, neither brain nor mind is much good without the other. And what good would the orchestra and conductor be without an audience to enjoy them? Each and every one of us wants and needs these three elements of ourselves—a resilient brain, a vibrant mind, and an awakened heart—to be as healthy and vital as possible, to thrive for the length of our days. In our work, we constantly encounter people like Helen who are asking some version of this essential question: How can I live more joyfully, age more gracefully, see with more clarity, and love more deeply for the remainder of my life? We hope that questions like this animate you as well, and we intend to explore how you might, through nine core concepts, answer them. These lessons, applied in simple ways, can help you build a resilient brain, cultivate a radiant mind, and discover an awakened heart—laying the foundations for your own joyful life. Learning how to integrate brain, mind, and heart into a harmonious whole has never been more needed. The sheer number of demands that compete for our limited time, attention, and energy is unprecedented in human history, and it is no wonder that we cannot always manage them with ease. This pressure may partially account for the explosion of chronic health challenges that plague people the world over. And with an aging population, experts expect an epidemic of age-related brain illnesses that society will be ill equipped to confront. In the face of these challenges, developing the resilience and vitality to better adapt and thrive in the second half of life has never been more urgent. The second half of life will no doubt be filled with unavoidable challenges. But there is a clear path through these challenges, a path rooted in brain science, in practices attentive to the physical needs of body and brain, in mindful awareness, in habits of intimacy. On this path you will move forward, despite life’s hazards, toward joy. This book is divided into four parts. Part 1 provides the background that we think will help you make more sense of the chapters that follow. Chapter 2 focuses on the structures of your brain that help you pay attention with mindful intention, while chapter 3 show us how to put that knowledge to use by describing how we can choose to apply our attention to become more present and aware. The heart of our approach is the Staying Sharp program. This program, described in parts 2–4 of the book, consists of nine key lessons from neuroscience that together provide the key elements to growing and maintaining a youthful brain. Each chapter introduces one key lesson, with the first three keys (chapters 4–6) devoted to building a resilient brain; the next three keys (chapters 7–9) focus on cultivating a vibrant mind; and the final three keys (chapters 10–12) focus on discovering how to awaken your heart. 1. A youthful brain loves movement. In chapter 4, you’ll learn how exercise and moving your body mindfully can directly improve brain health, energy, and the quality of your emotions. 2. A youthful brain is well rested. Sleep problems seem to rise exponentially as we age. In chapter 5, you’ll learn how to recharge your mind through safe, natural, mind-body approaches to sleep. 3. A youthful brain is well nourished. In chapter 6, you’ll learn about the best brain foods and supplements, as well as ways to bring mindful approaches to your eating habits. 4. A youthful brain cultivates curiosity. In chapter 7, we discuss the potent brain fertilizers of novelty, play, and wonder and how you can incorporate more of these into your life. 5. A youthful brain is flexible. In chapter 8 we will learn about neuroplasticity, the brain’s amazing capacity to change and adapt through the whole of our lives. By enhancing your own ability to remain flexible, you will be able to thrive despite the challenges you will undoubtedly face in the second half of life. 6. A youthful brain is optimistic. While we naturally vary in degrees of optimism, it is a skill that can be honed with great rewards. In chapter 9, we highlight the science of optimism and show you how to cultivate this inner quality to enhance the legacy that you would like your life to have. 7. A youthful brain is empathic. Our brains are wired to care, to be generous and compassionate, and when we grow in the capacity to love well, so does our happiness. In chapter 10, we discuss the science of empathy and show how you can use it to grow in your own level of joy. 8. A youthful brain is well connected. We are social beings, and our brains change when we are around others. In chapter 11, we contemplate the importance of connecting with others in meaningful ways and developing an ever-growing sense of belonging in the world. 9. A youthful brain is authentic. Chapter 12 points us toward one of the most important goals of a well-lived life: to become more and more fully yourself. Living authentically is the fruit of all the other practices, and it can also be its own pursuit when we develop the capacity to live consciously and fully, expressing our own deepest nature. There is a logical progression through these stages, and we suggest that you go through the chapters in sequence. Each part builds on what has gone before, from learning to nurture the physical brain, to practicing the core mental qualities that keep the brain young and the mind vital, and finally to realizing our great human potential—to be open to life and to others, to learn to love well, and to become most fully ourselves. Helen possessed hidden qualities that allowed her to gradually reclaim her life, and you have them too. She had strength. She had defiance. These qualities supported her ability to express her resilience. Even though she may have disagreed, she was not broken by her life’s struggles. In fact, she stated a deeper truth when she said, “I am more than this.” You too are more than this, even if you don’t realize it just yet. Each of us has an inherent resilience that can help us to engage life again. If you feel lost, as so many of us do in the middle of our lives, you may simply need some guidance to develop the skills needed to get yourself back onto the path of your own radiant life. As men who are aging ourselves, and trying to do so with some degree of grace and skill, we hope to share both what we know and how we try to live our own lives. It is possible to have a youthful, resilient brain; a vibrant, wise mind; and a joyful, awakened heart well into advanced age. That is the promise of this book. 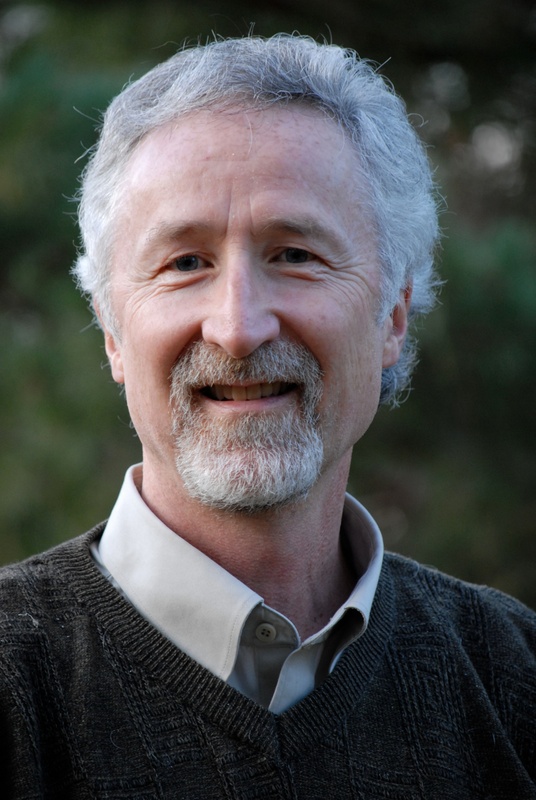 Henry Emmons, MD, is a psychiatrist who integrates mind-body and natural therapies, mindfulness and allied Buddhist therapeutics, and psychotherapeutic caring and insight in his clinical work. Dr. Emmons is in demand as a workshop and retreat leader for both healthcare professionals and the general public. David Alter, PhD, is a clinical psychologist whose thirty-year practice combines mind-body medicine, strategic therapeutic interventions, and clinical hypnosis to address the presenting concerns of his clients. He integrates health psychology, neuropsychology, and clinical hypnoses to bring a holistic perspective to his clinical work. He conducts his practice at Partners in Healing, the center for holistic health that he cofounded in Minneapolis, MN. "Based on leading edge research, Staying Sharppresents information that is nothing short of vital. Read this book today andyou will pave the way for future brain health." “Staying Sharp is so comprehensive and accurate it caneasily replace a dozen books on the subject. I heartily recommend thisbody-mind-spirit approach to maintaining and increasing mental acuity." "A fascinating read which provides keen insights and a road map to brain health and vitality. Staying Sharp is a must-read adventure in how to maintain healthy brain function as we age." 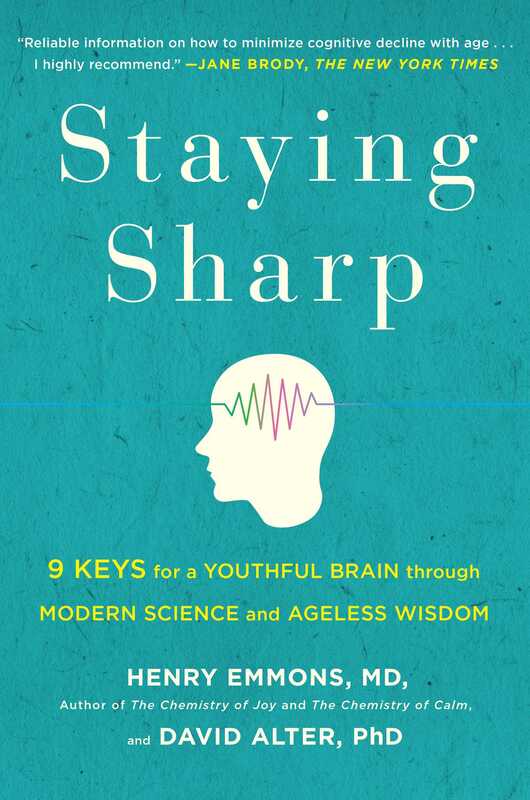 "In StayingSharp: 9 Keys for a Youthful Brain through Modern Science and Ageless Wisdom, ...coauthors Henry Emmons, a psychiatrist, and David Alter, apsychologist, focus on how to train one’s mind with the aim of living ahealthy, relaxed, and engaged life. They explain the neuroscience and holisticmedicine upon which they base their advice, and they aren’t dogmatic. What theysuggest requires a certain amount of discipline but few dollars. Theirsuggestions are reasonable goals at any age: Get enough sleep and exercise andnurture your curiosity about the world."